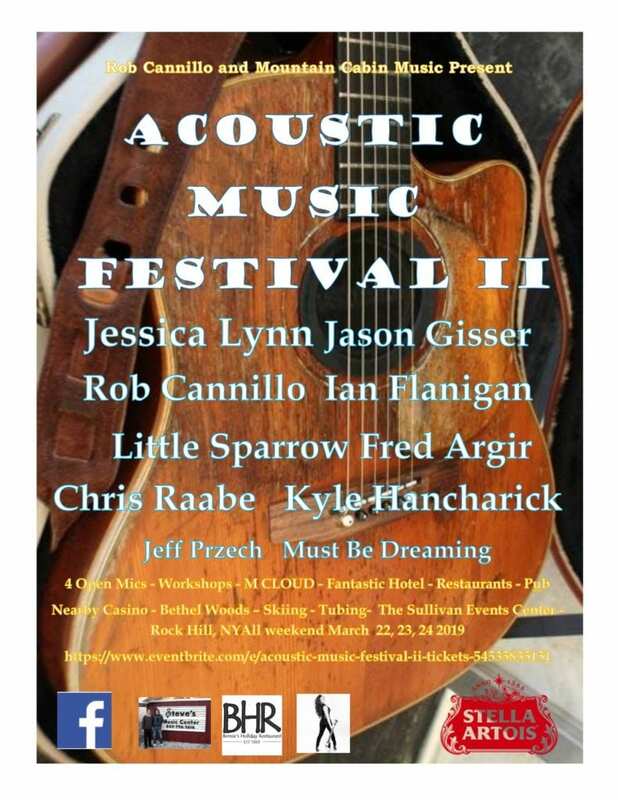 Rock Hill, NY – The ACOUSTIC MUSIC FESTIVAL, now in its 2nd year, is a 3-day music lovers dream. Housed in the great Sullivan Events Center in Rock Hill, NY. this festival will host all kinds of music in an “unplugged’ style. The festival also offers multiple “open mics” and workshops, so everyone can be part of the music! This powerhouse line-up includes: Jessica Lynn, Jason Gisser, Rob Cannillo, Ian Flanigan, Chris Raabe, Kyle Hancharick, Little Sparrow and more. The Sullivan Events Center, Rock Hill, N.Y. Fri, Sat and Sun March 22nd,23rd and 24th.